Last month when we were at the neurosurgeons, getting the stitches removed from Bob's back, I spotted this on the floor, in the corner. Wonder who lost their spine. Who's wondering around spineless. I know you can probably think of some one who you could label spineless. 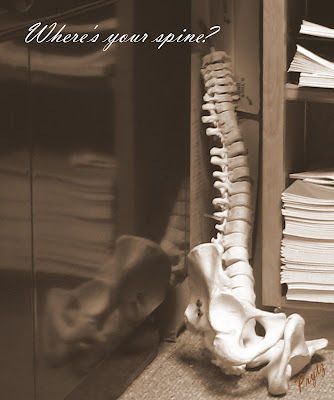 Let them know their spine is in La Jolla! 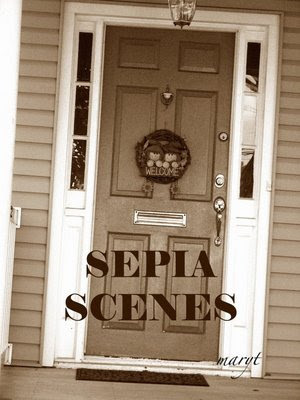 Sepia Scenes is a Thursday photo meme, brought to us by Mary of Work of the Poet. 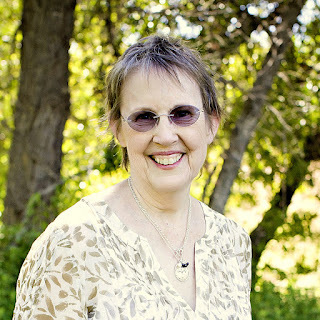 If you're interested in joining and aren't sure how to do sepia, click here, Mary gives lessons, too! What else would you expect from a professor? Such an interesting subject for a photo. ;-) I like how you also captured it's reflection. Nice, Jan!